Are you an adventure freak? Do you frequently go for outings with your friends? If yes, then you can't do without the right pair of outdoor Adventure shoes for men. These outdoor adventure shoes ensure you have a great adventure and outing experience. Those with free spirit and adventurous souls will find this shoe category very useful. Generally, men love outings and indulging in various outdoor activities, exploring places, etc. 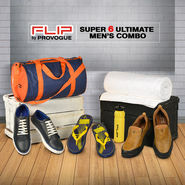 Hence, give a boost to your adventurous pulse by bagging the correct pair of outdoor shoes for men. 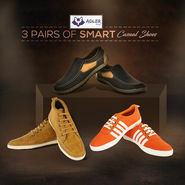 The shoes displayed under this category are designed and crafted to offer a durable protection and maximum grip to your feet. 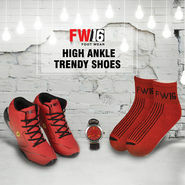 These rough and tough shoes aids in combating with coarse terrains without making any effort. This Outdoor/Adventure footwear for men category includes a wide range of travel shoes, which are simply perfect for situations like travelling, walking, trekking, or hiking, etc. 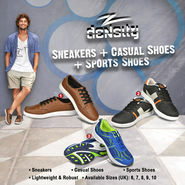 These shoes are extremely comfortable and protect your feet from tough conditions. 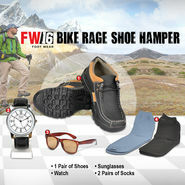 You just need to get the right footwear and savor the ride! Outdoor Shoes Brands In order to cater the interests of the adventurous veins, these outdoor shoes are crafted in an optimum manner to provide sheer perfection. 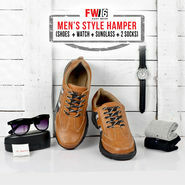 Brands like Woodland, Forest, Lee Cooper, Jessi Jordan, Fermani, etc. are meant for the high-spirited blood. 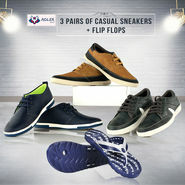 Naaptol.com presents men's outdoor footwear from various reputed brands with detailed information regarding the design, for the buyer's expediency. These shoes differ in build, style and color, to suit all feet type. Buy Outdoor Shoes from Naaptol These extremely stylish and trendy outdoor shoes goes well with all types of apparels, be it a pair of jeans or a cargo. Naaptol, one of the best online shopping sites brings to you the best quality of mens outdoor shoes under one roof along with the added benefits of Cash on Delivery option. Buy Outdoor Adventure Shoes for Men Online in India from Naaptol to keep your feet rising and falling in comfort and sheer style.